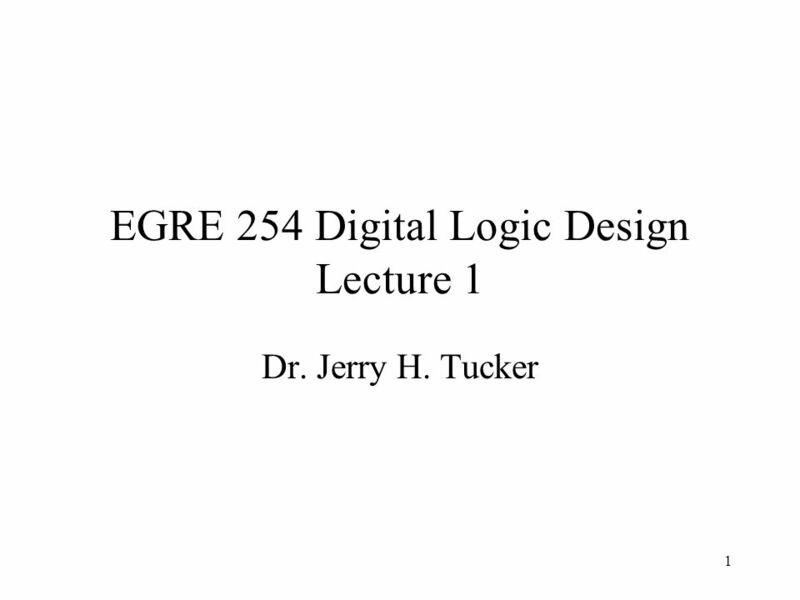 1 EGRE 254 Digital Logic Design Lecture 1 Dr. Jerry H. Tucker. 2 2 Web page Class handouts, announcements, and other information will be posted on the class web page at http://www.people.vcu.edu/~jhtucker/s09- egre254/index.html.http://www.people.vcu.edu/~jhtucker/s09- egre254/index.html Bookmark and monitor this page! 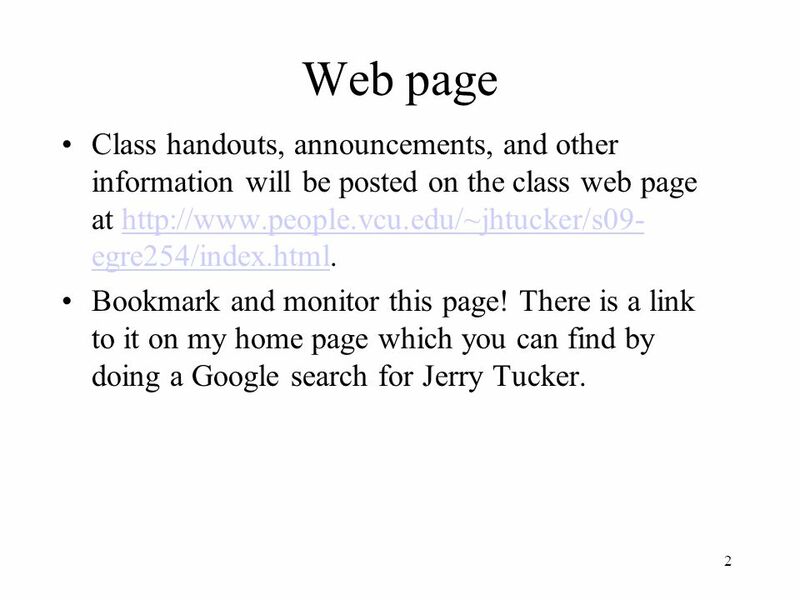 There is a link to it on my home page which you can find by doing a Google search for Jerry Tucker. 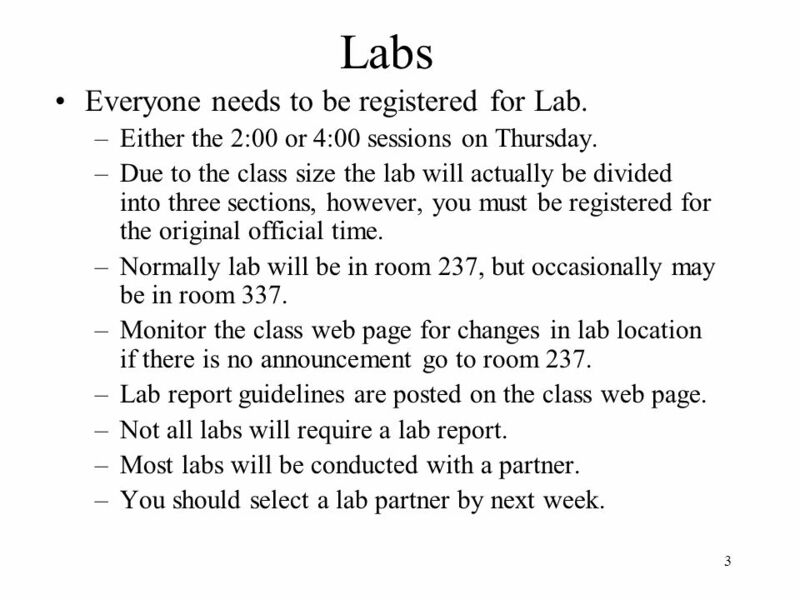 3 3 Labs Everyone needs to be registered for Lab. –Either the 2:00 or 4:00 sessions on Thursday. –Due to the class size the lab will actually be divided into three sections, however, you must be registered for the original official time. –Normally lab will be in room 237, but occasionally may be in room 337. –Monitor the class web page for changes in lab location if there is no announcement go to room 237. –Lab report guidelines are posted on the class web page. –Not all labs will require a lab report. –Most labs will be conducted with a partner. –You should select a lab partner by next week. 4 4 Textbook We will use Digital Design Principles and Practices either 3 rd or 4 th editions by John Wakerly. 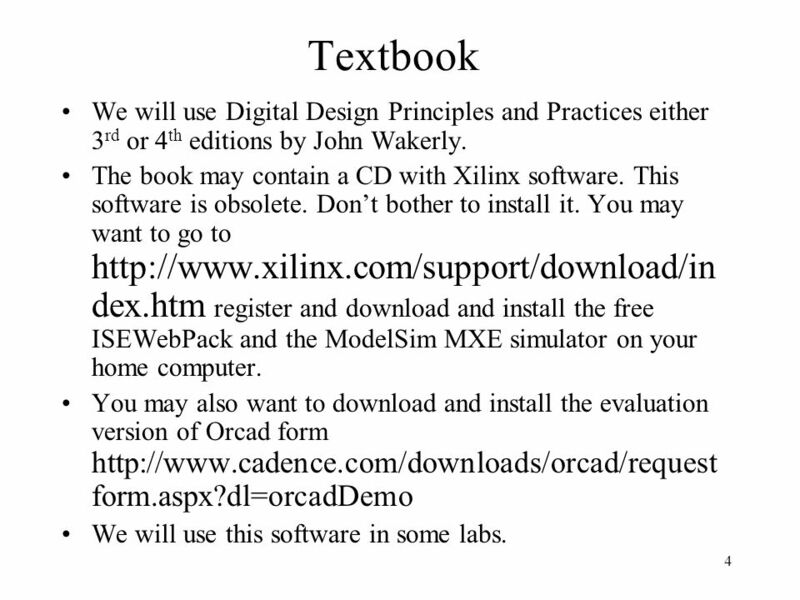 The book may contain a CD with Xilinx software. This software is obsolete. Don’t bother to install it. You may want to go to http://www.xilinx.com/support/download/in dex.htm register and download and install the free ISEWebPack and the ModelSim MXE simulator on your home computer. You may also want to download and install the evaluation version of Orcad form http://www.cadence.com/downloads/orcad/request form.aspx?dl=orcadDemo We will use this software in some labs. 5 5 Final course grades will be determined as follows: Homework10% Laboratory10% Quizzes (2)50% Final exam30% Some curving may be used to determine the final letter grade for this class. You may expect the grade dividing points to be as follows: Between A and B: 90-93. Between B and C: 80-85. Between C and D: 70-75. Between D and F: 60-65. 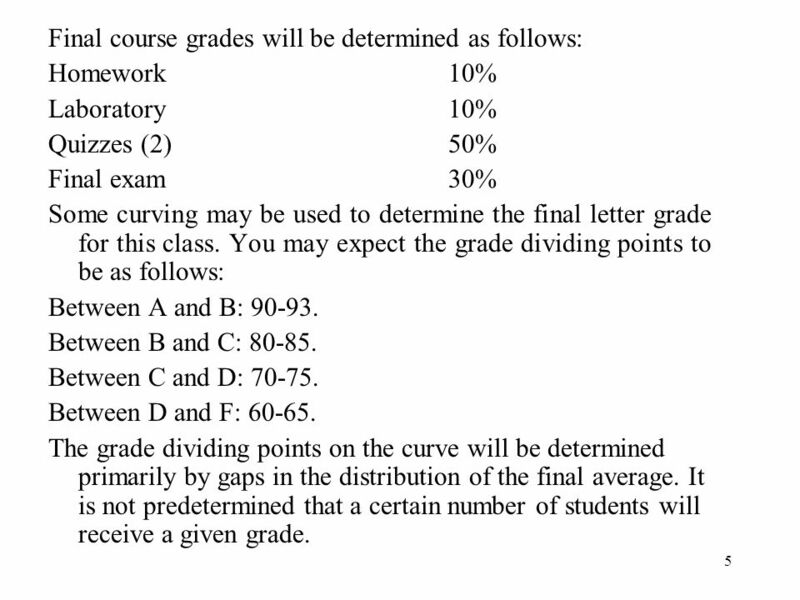 The grade dividing points on the curve will be determined primarily by gaps in the distribution of the final average. It is not predetermined that a certain number of students will receive a given grade. 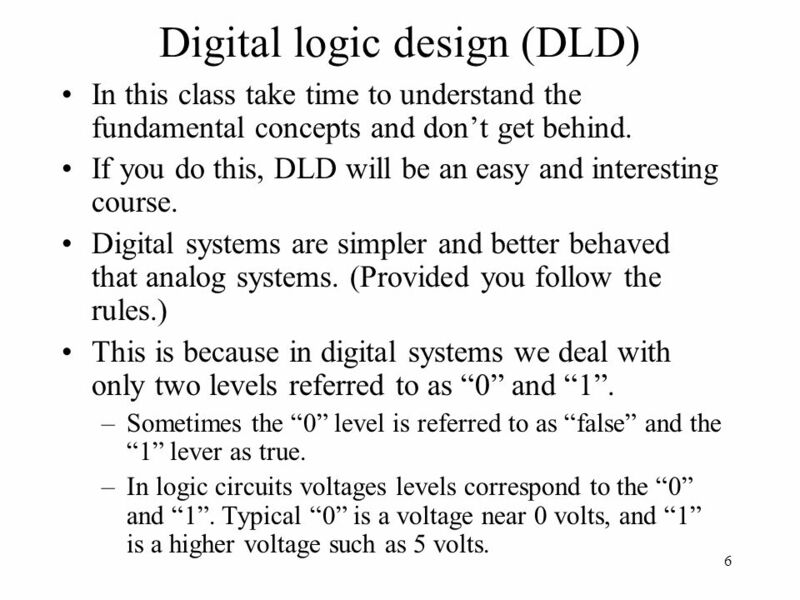 6 6 Digital logic design (DLD) In this class take time to understand the fundamental concepts and don’t get behind. If you do this, DLD will be an easy and interesting course. Digital systems are simpler and better behaved that analog systems. (Provided you follow the rules.) This is because in digital systems we deal with only two levels referred to as “0” and “1”. –Sometimes the “0” level is referred to as “false” and the “1” lever as true. 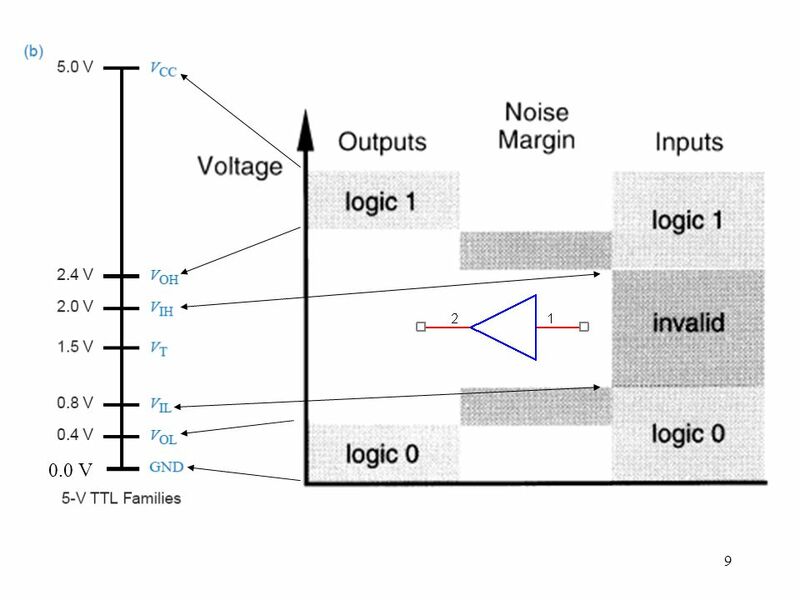 –In logic circuits voltages levels correspond to the “0” and “1”. 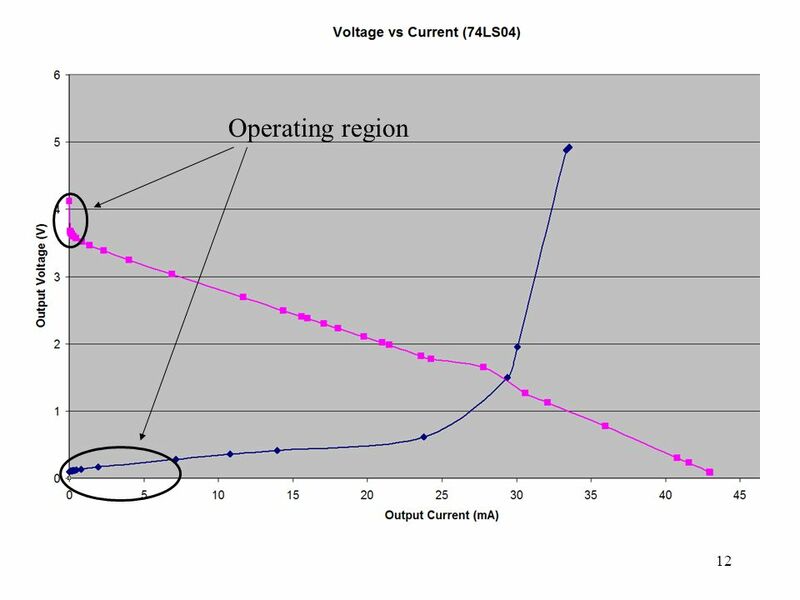 Typical “0” is a voltage near 0 volts, and “1” is a higher voltage such as 5 volts. 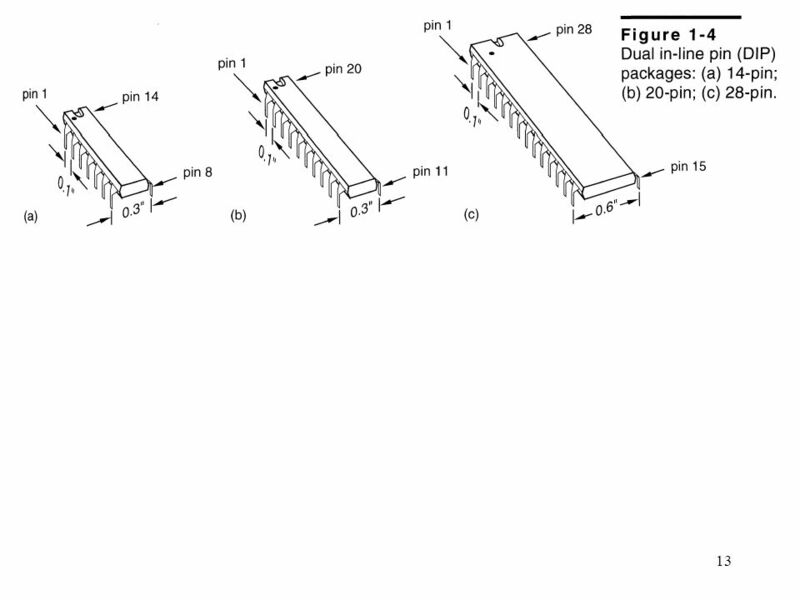 7 7 Digital Circuits Digital Circuits are divided into two major classifications. 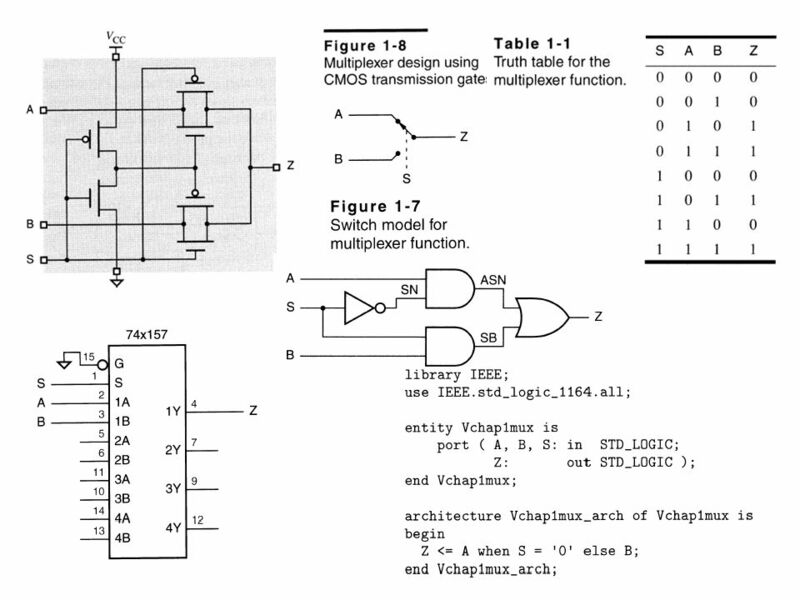 Combinational –Consist of logic gates with no feedback. –Output depends only on present input. Sequential –Contain flip-flops or gates with feedback. –Output depends on both present input and previous inputs. –Sequential circuits have memory. 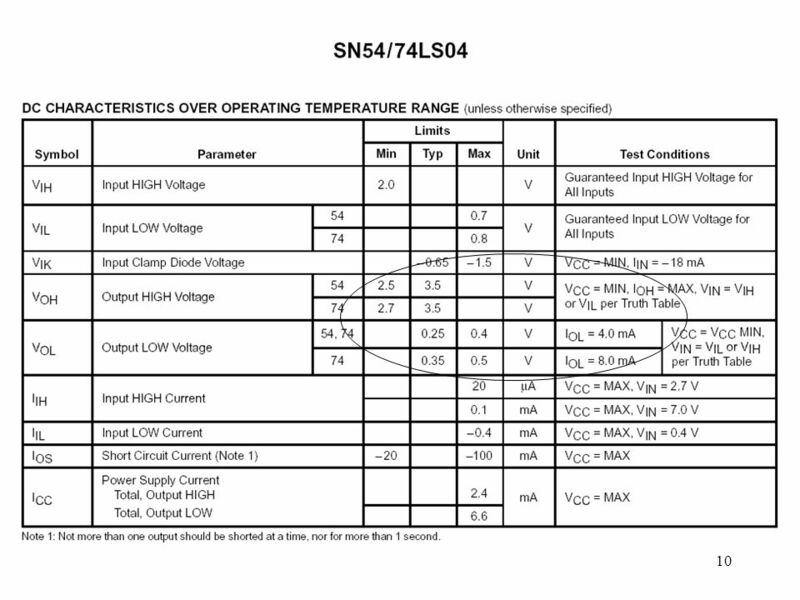 8 8 We will typically use NAND gates and the 74LS logic family. 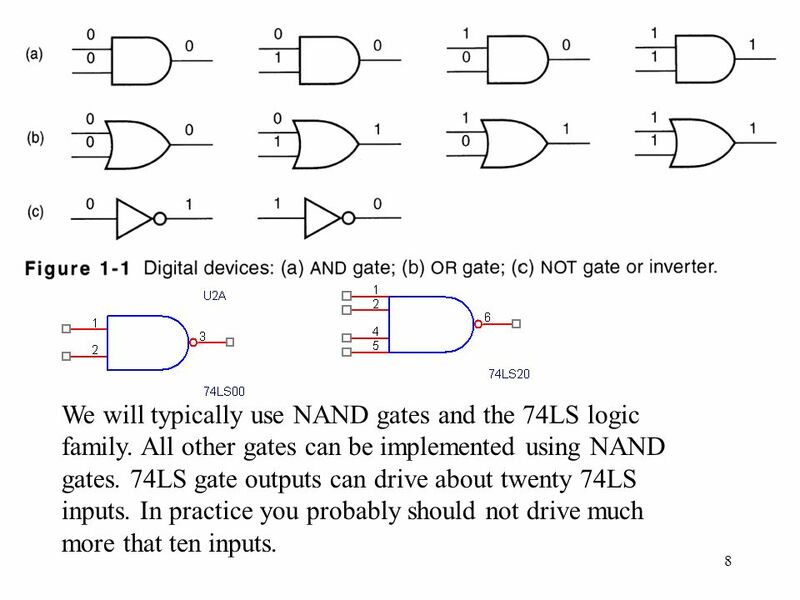 All other gates can be implemented using NAND gates. 74LS gate outputs can drive about twenty 74LS inputs. In practice you probably should not drive much more that ten inputs. 14 14 Pin count as seen from the top. Notice notch! 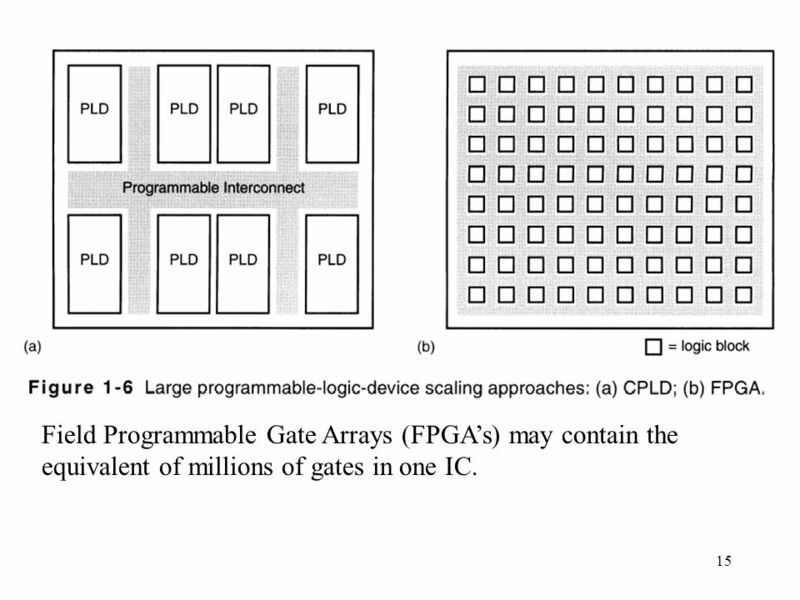 15 15 Field Programmable Gate Arrays (FPGA’s) may contain the equivalent of millions of gates in one IC. 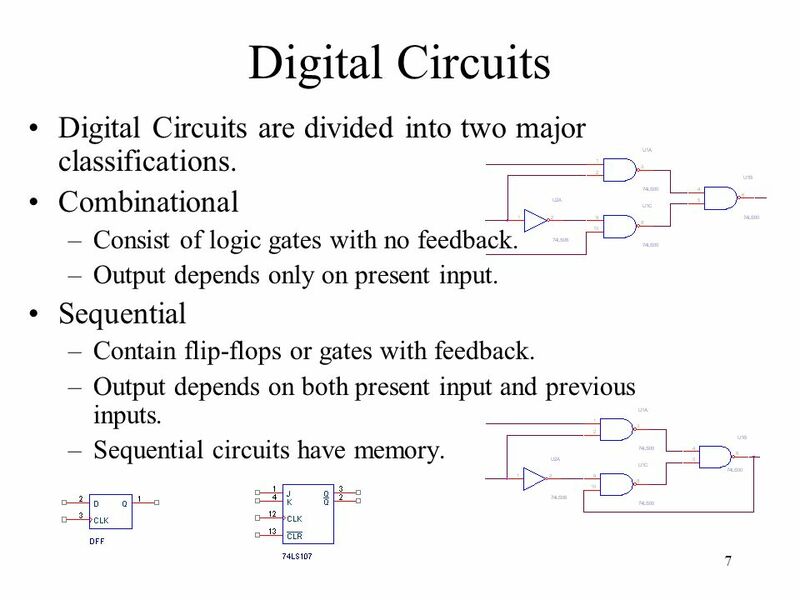 Download ppt "1 EGRE 254 Digital Logic Design Lecture 1 Dr. Jerry H. Tucker." EKT 222/4 Microprocessor Systems SUBJECT INTRODUCTION. Spring 2002EECS150 - Lec02-CMOS Page 1 EECS150 - Digital Design Lecture 2 - CMOS January 24, 2002 John Wawrzynek. 1 Foundations of Software Design Lecture 1: Course Overview Intro to Binary and Boolean Marti Hearst SIMS, University of California at Berkeley. 1  1998 Morgan Kaufmann Publishers Lectures for 2nd Edition Note: these lectures are often supplemented with other materials and also problems from the. 1 Lecture 11: Digital Design Today’s topics:  Evaluating a system  Intro to boolean functions. 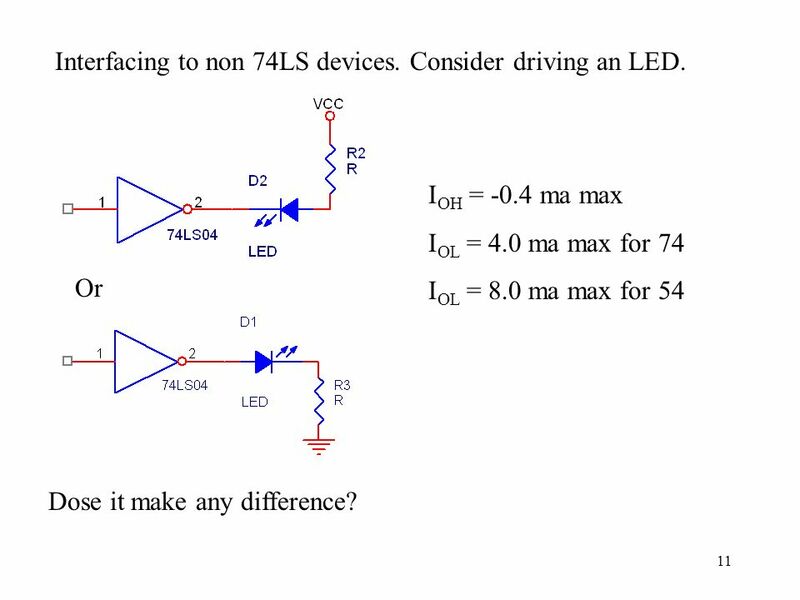 ECE 171 first class in logic and computers Dr Marek Perkowski Introduction Grading What is this class. 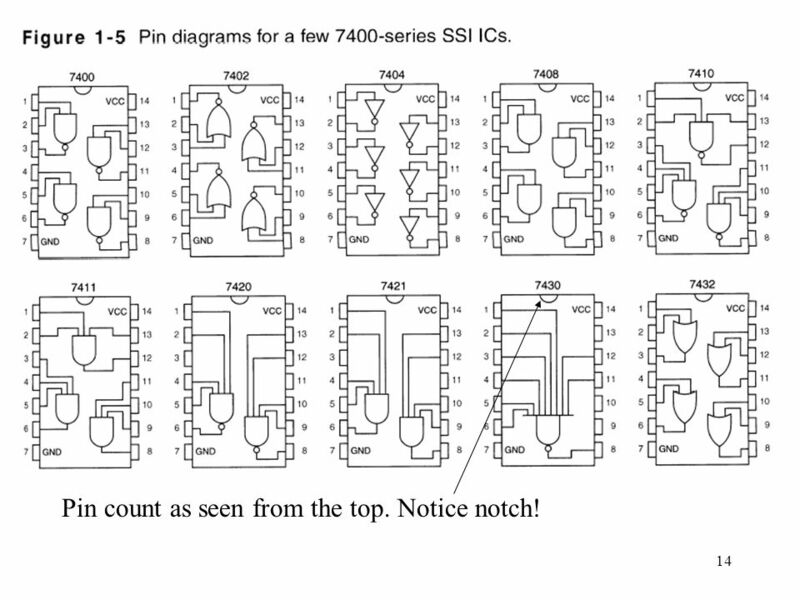 ECE 331 – Digital System Design Tristate Buffers, Read-Only Memories and Programmable Logic Devices (Lecture #16) The slides included herein were taken. EE2174: Digital Logic and Lab Professor Shiyan Hu Department of Electrical and Computer Engineering Michigan Technological University CHAPTER 1 Introduction. CSE 378 Computer Hardware Design Prof. Richard E. Haskell – –Tel: –Web site: Follow. OBJECTIVE OF THIS COURS Digital design is concerned with the design of digital electronic circuits. Digital circuits are employed in the design and construction. Logic Circuits In today’s lesson we will look at: the symbols for NOT, AND, OR and EOR using truth tables to represent logic circuits two new operators. Digital Logic Lecture 1 Introduction By Dr Zyad Dwekat The Hashemite University Computer Engineering Department. Engineering Lecture 3 Digital Electronics by Jaroslaw Karcz.